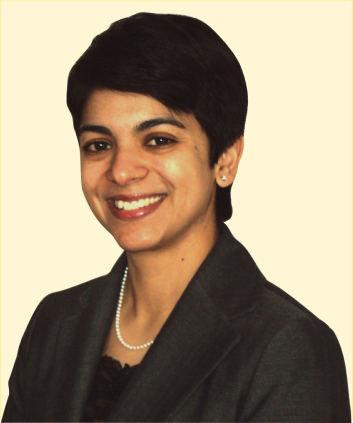 Sasha S. Philip is a licensed attorney who practiced civil litigation for well over a decade before becoming a certified professional mediator and arbitrator, based on the conviction that conflict is most effectively resolved without the emotional and financial cost of litigation. Ms. Philip is trained and experienced in mediations of litigated cases as well as in the facilitative mediation model. As such, Ms. Philip offers customized mediations both of cases that are in litigation and of disputes in which no formal lawsuit has been filed, and utilizes both evaluative and interest-based techniques to tailor mediations to her clients' unique needs. She is also available to act as an agreed-upon arbitrator in private, AAA, MAR, UM/UIM, and FINRA arbitrations. Ms. Philip draws on her extensive experience representing parties in mediations and arbitrations of litigated cases in Washington State and Federal courts for her own mediation and arbitration practice. In addition, she is a lecturer at the University of Washington School of Law and has been an adjunct faculty member at Seattle University School of Law. She is certified as a Rule 39.1 Neutral by the U.S. District Court for the Western District of Washington, is a AAA commercial arbitration panel member, and acts as an arbitrator for the King County and Snohomish County Superior Courts in mandatory arbitration matters. She is active as a mediation trainer, coach, and volunteer mediator for the EEOC's Seattle Field Office and the Seattle Office for Civil Rights, the Seattle Federal Executive Board's ADR Consortium, the King County Dispute Resolution Center, and the City of Bellevue Neighborhood Mediation Program. Ms. Philip serves as a member of the Washington State Bar Association's ADR Section executive committee, as well as chair of the acclaimed annual Northwest Dispute Resolution Conference. Ms. Philip was selected as a "Rising Star" by Washington Law & Politics' Super Lawyers magazine in 2006, 2008, and 2012-2015. In 2014 and 2015, Ms. Philip was named as the sole “Rising Star” in the practice area of Alternative Dispute Resolution. When not serving her clients as a mediator or arbitrator, Ms. Philip enjoys singing with the Seattle Symphony Chorale, which she also served as its 2017/'18 Board president, cooking, kayaking, ​hiking and camping with her dog, and urban farming. She is married with two stepsons, and is a native German speaker.